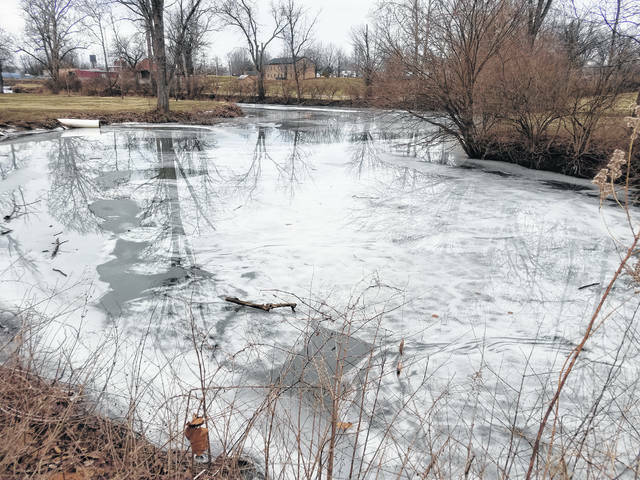 Fayette County continued to thaw out on Monday with snow and ice melting around the community. At Washington Park in Washington Court House, ice was still thick enough to hold heavy branches and rocks above water, despite temperatures in the 50s throughout the day. High temperatures are expected to remain above 45 degrees throughout the rest of the week, with a slight cool down forecasted this weekend. https://www.recordherald.com/wp-content/uploads/sites/27/2019/02/web1_20190204_143402.jpgFayette County continued to thaw out on Monday with snow and ice melting around the community. At Washington Park in Washington Court House, ice was still thick enough to hold heavy branches and rocks above water, despite temperatures in the 50s throughout the day. High temperatures are expected to remain above 45 degrees throughout the rest of the week, with a slight cool down forecasted this weekend.